OPEN GOLF AT ROYAL TROON 2016 – RENTAL COMMENCES 9TH JULY FOR 9 NIGHTS FROM £1045. PLEASE CALL TO ENQUIRE. This working farm is set in 400 acres with free fishing on the River Clyde for trout and grayling, and access to private woodlands. 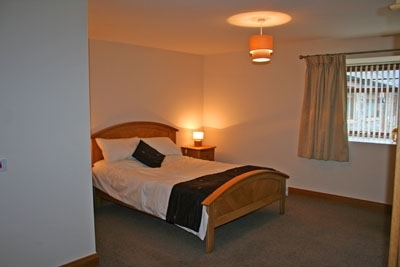 Each cottage has be renovated and decorated to a very high standard for a contemporary and relaxing holiday. This is a very central location for touring with lots to see and do in the surrounding area, including the 'Falls of Clyde' and the New Lanark World Heritage Village. Opposite are private woodlands for walking and cycling. Situated in a central location 8 miles from Biggar with excellent amenities and almost equidistant between Edinburgh and Glasgow around 1 hour away, this is a great spot for exploring. 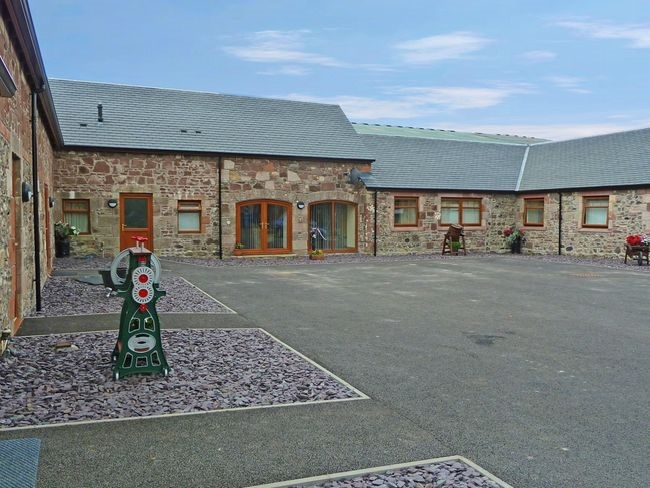 This ground-floor accommodation is a delightful converted barn offering THREE Bedrooms: 1 king-size with TV and en-suite shower room, 1 king-size with TV and 1 single. Bathroom: with shower over bath. Lounge/diner: with TV, DVD and hi-fi. Kitchen: electric oven, fridge, dishwasher, washer/dryer and microwave.